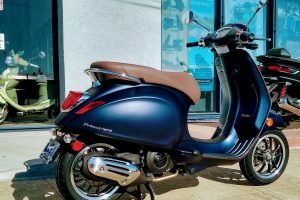 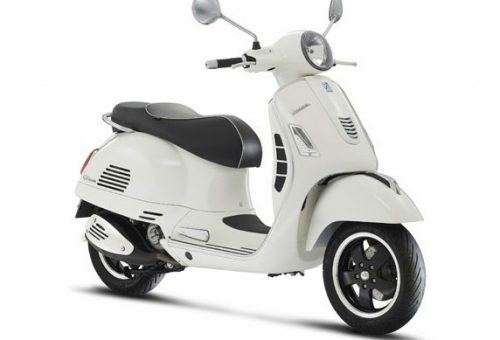 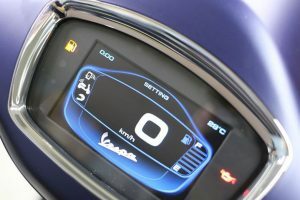 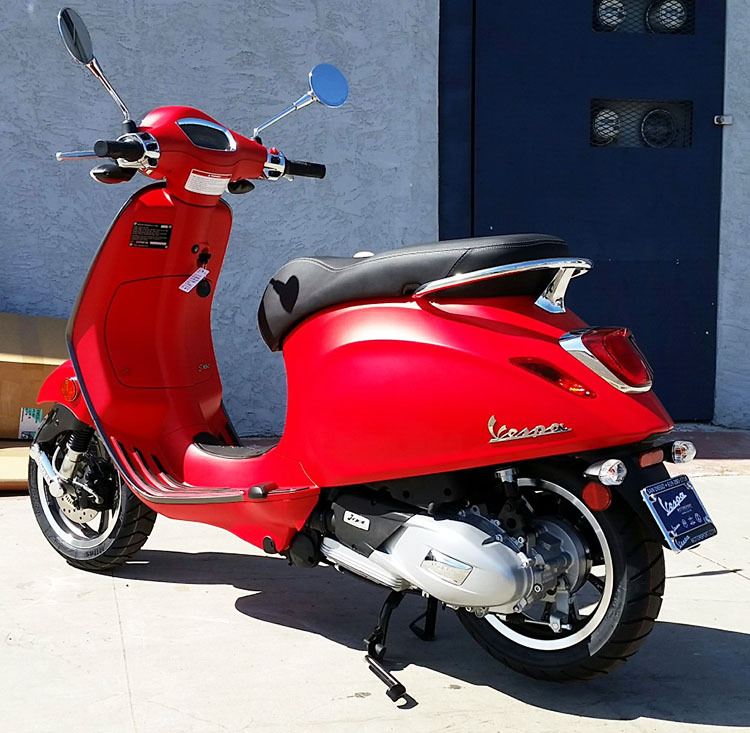 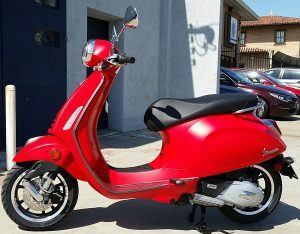 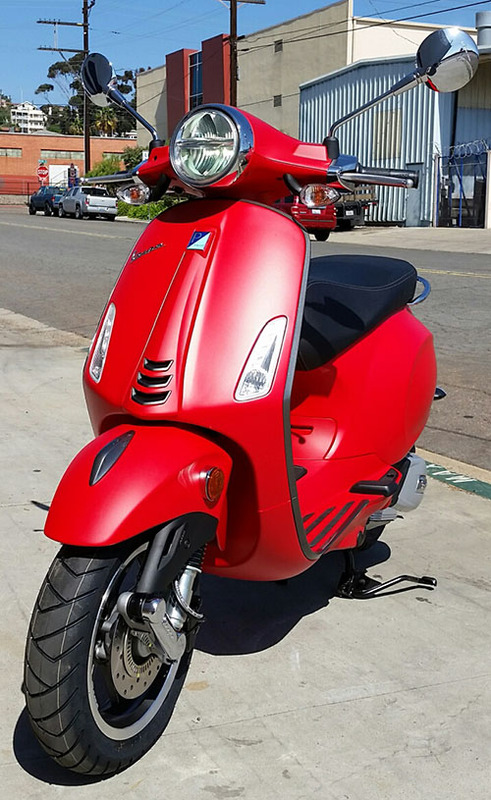 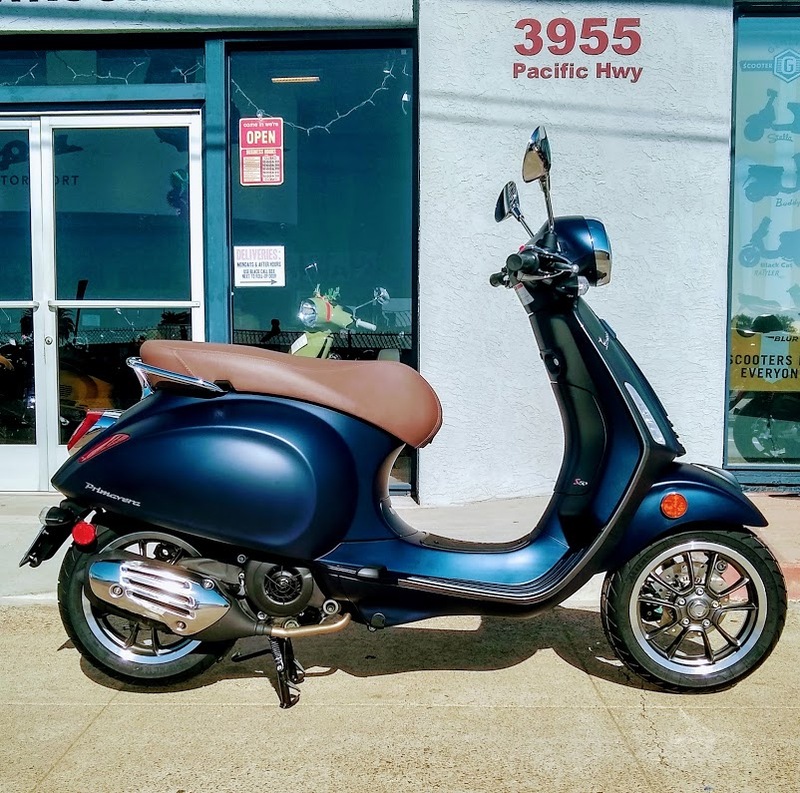 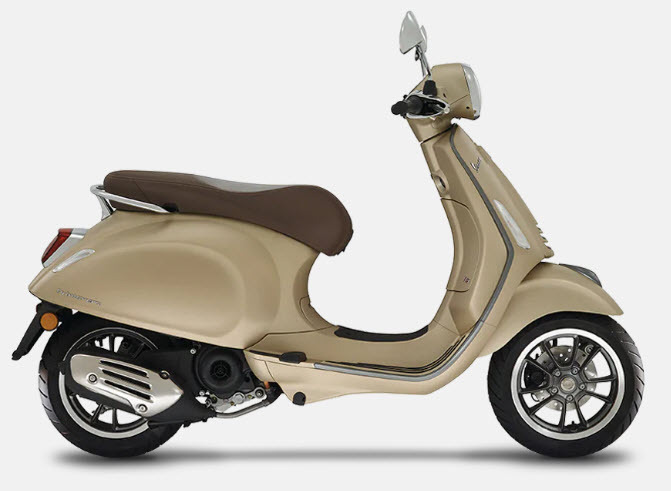 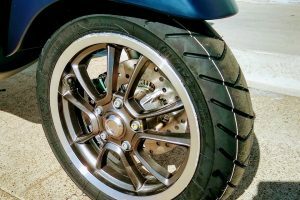 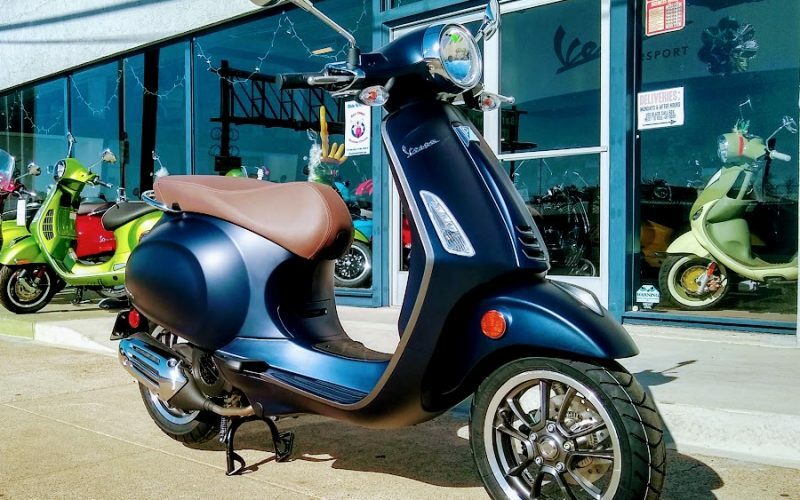 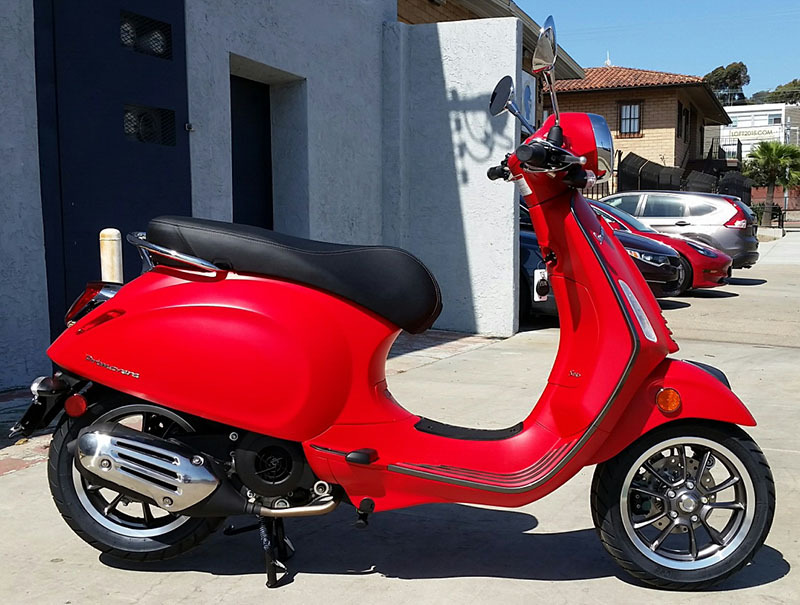 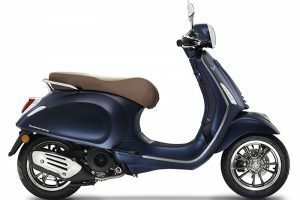 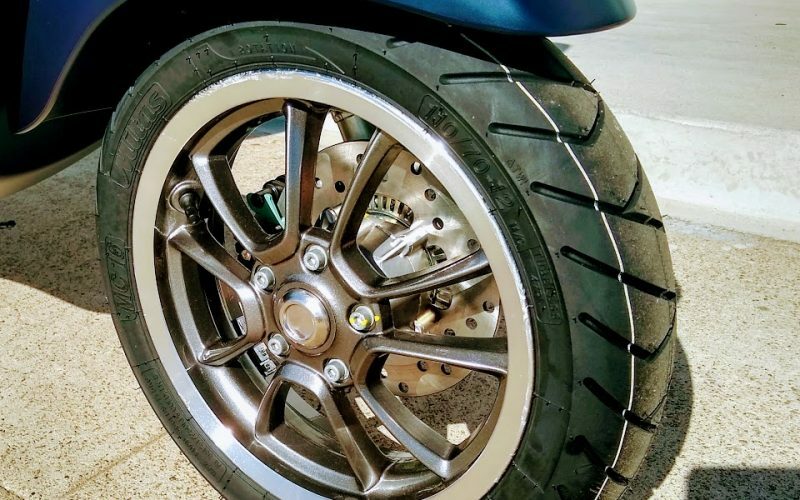 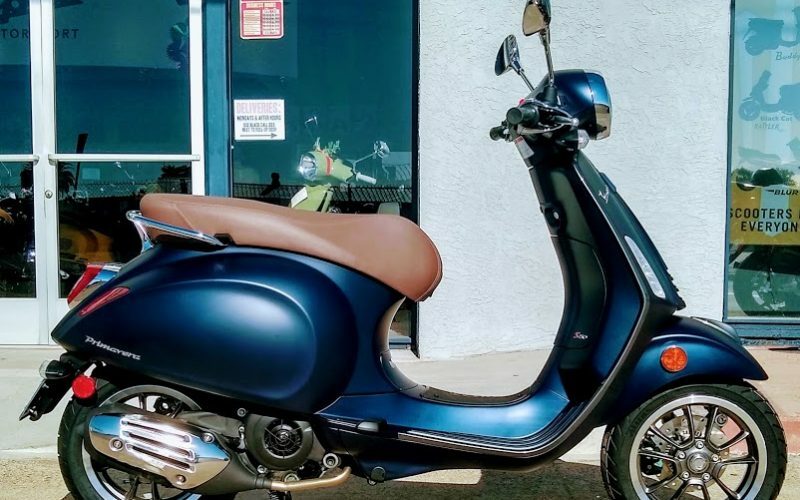 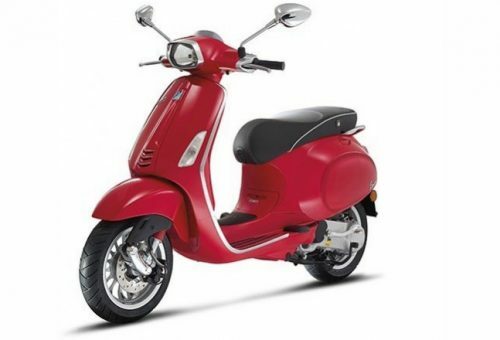 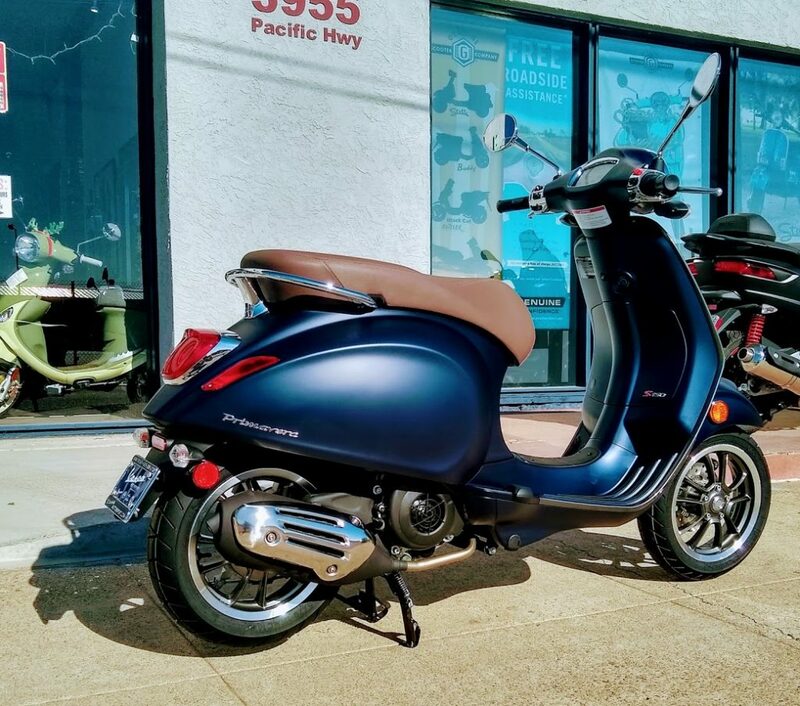 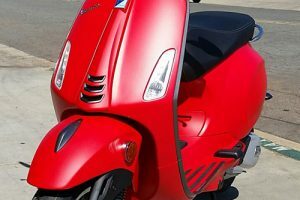 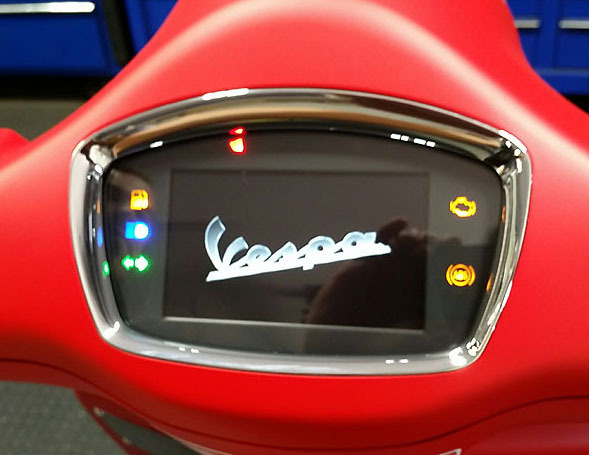 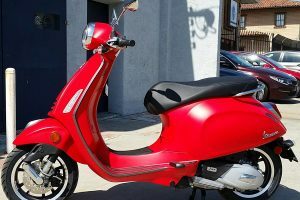 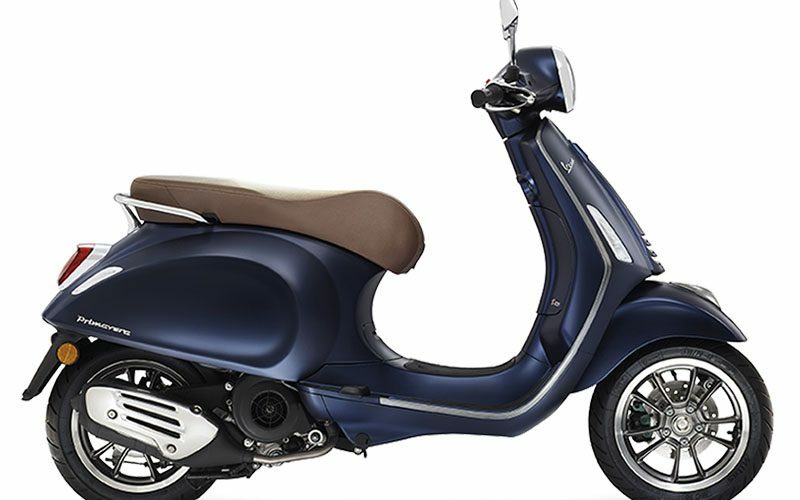 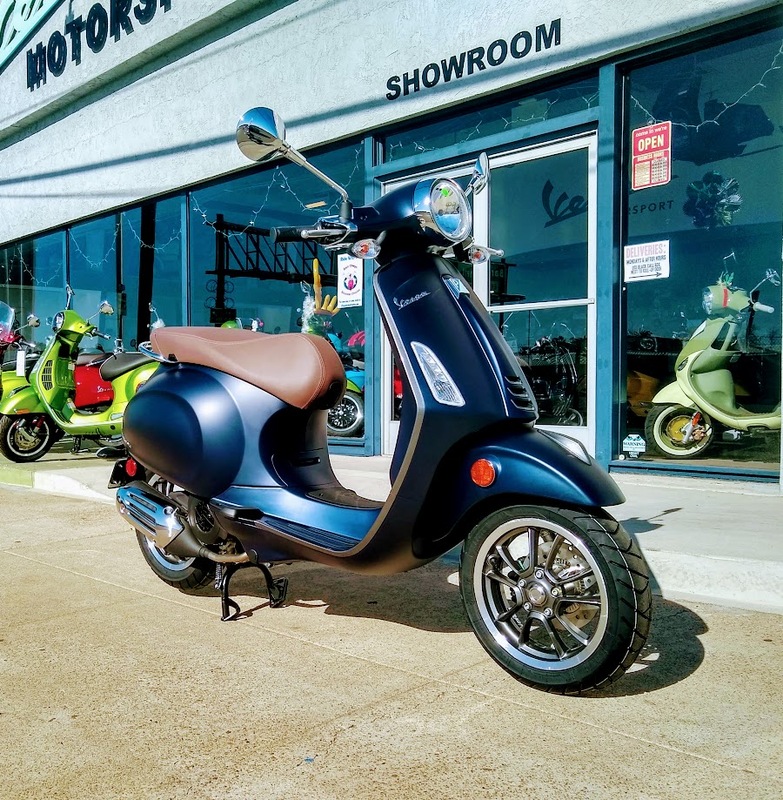 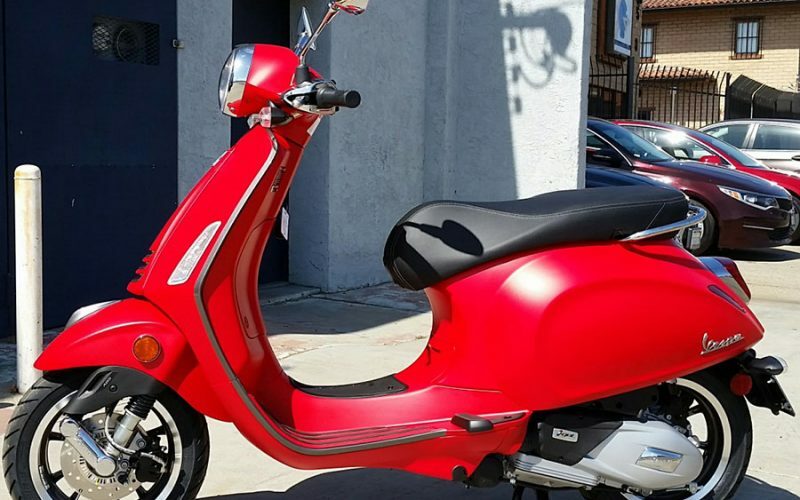 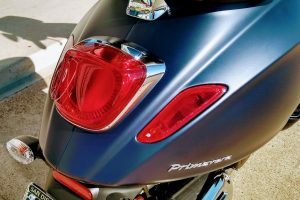 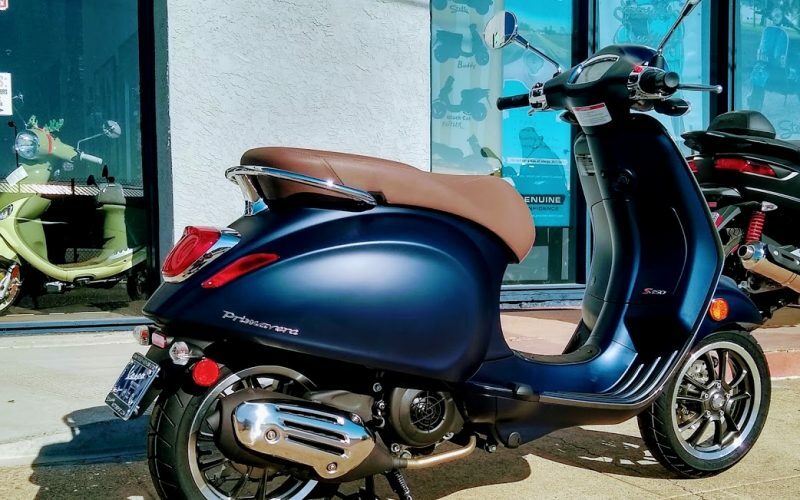 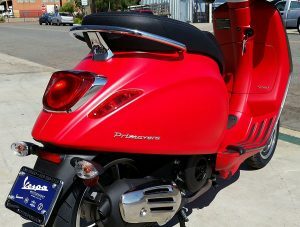 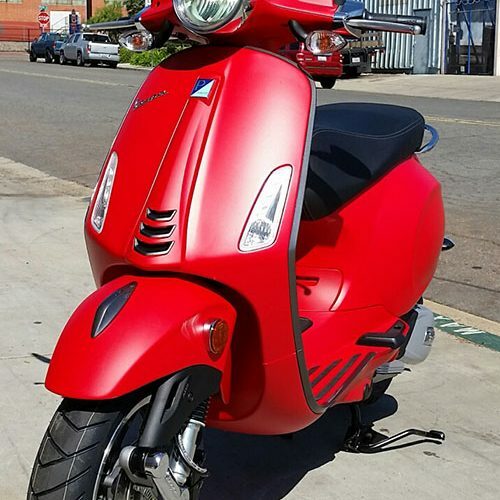 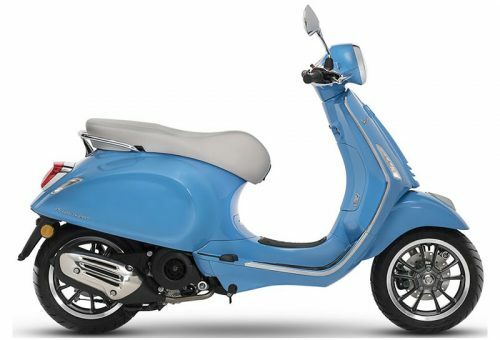 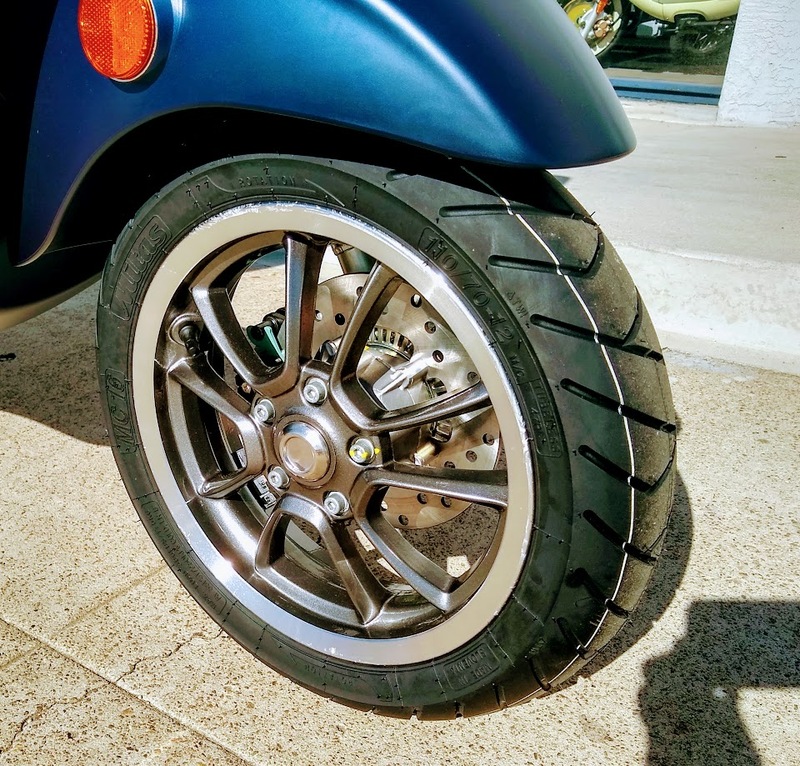 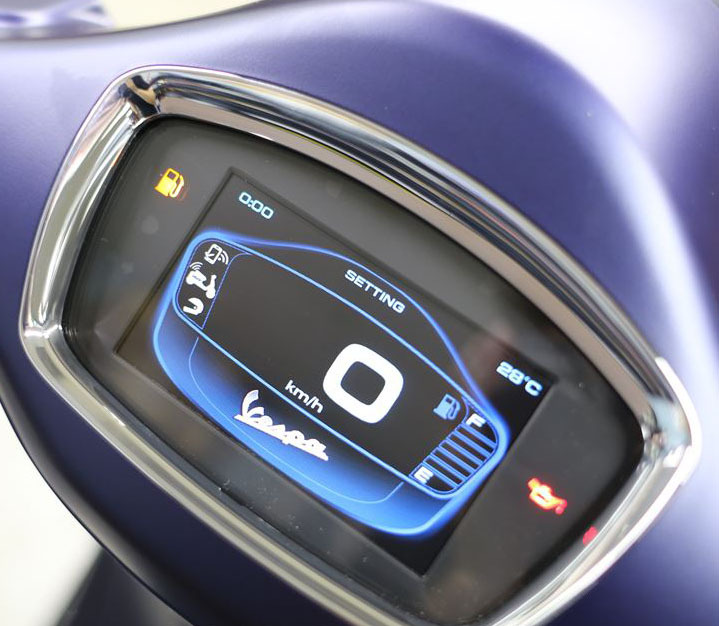 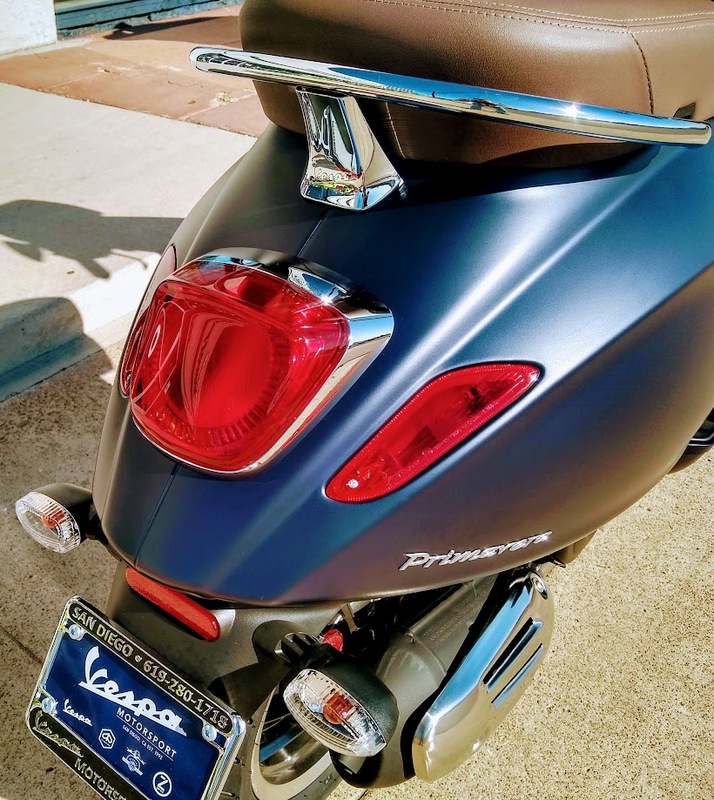 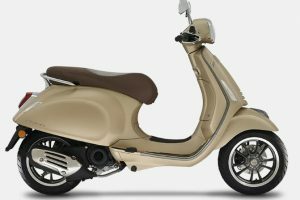 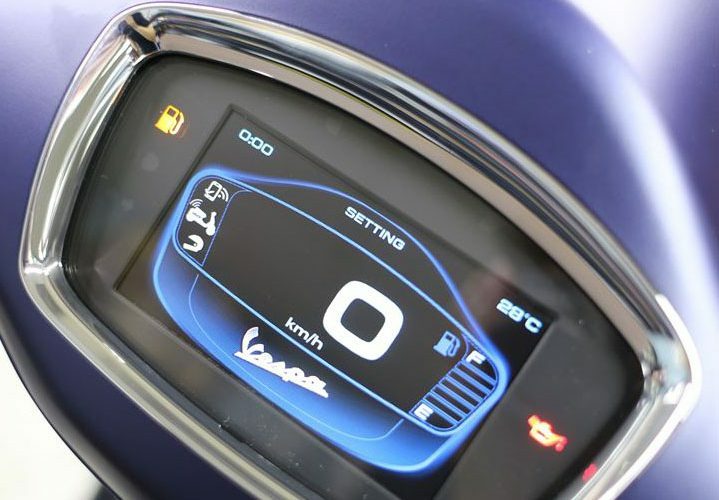 Vespa Primavera Sport model is the sporty little number with plenty of attitude. 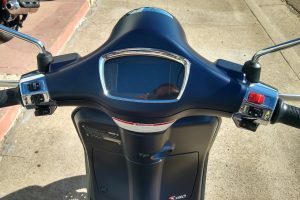 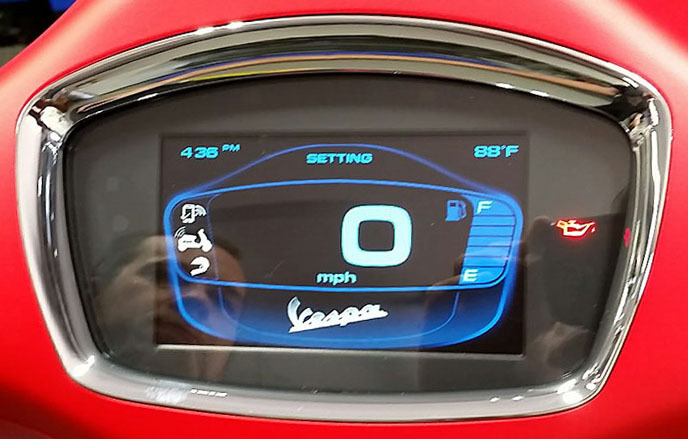 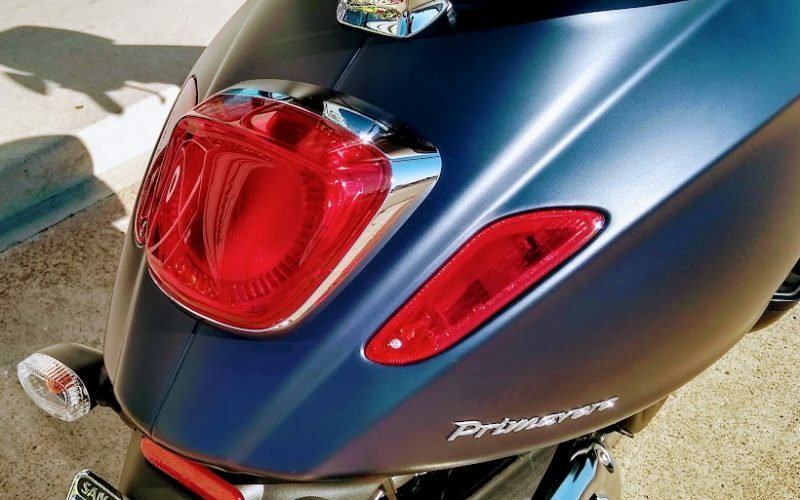 In addition to an amazing matte red and matte blue paint scheme, gray highlights and two tone wheels, the instrumentation control center is the big news for this limited production model. 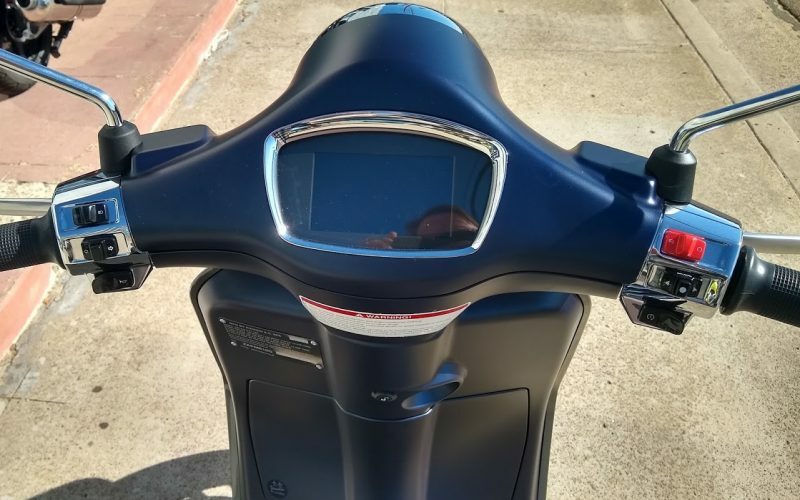 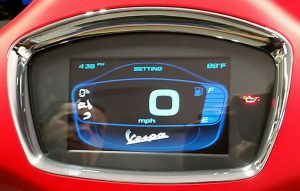 Full color LCD with more functions than you can shake a spoon at!